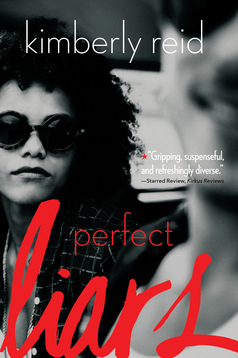 Drea is the best of the best--a class valedictorian at her tony private high school, but she comes from the worst--grifter parents and a thief brother. It turns out she's a bit of a criminal, too, and when she finds herself tutoring at a juvie detention summer program, she falls for one of the students. This is more or less a teen romance, where the protag also Learns Something About Herself, and she also happens to be Black. I say "happens to be Black" not to knock the author or the publisher, which specializes in multicultural books for children and teens. Drea's race comes up, and other races and ethnicities are noted and commented upon, but they are fact, not struggle. For me this wasn't the most compelling read, but maybe for a teen, or the Barnard senior I intend to give it to, since I got it from a friend who received it as a review copy and told me to pass it along when I finished it. Booksharing is for book lovers!